You probably want to know how much tis the Legend of Zelda’s: Breath of the Wild digital download size. If you plan on using the Nintendo Switch’s internal memory or a memory card, this Zelda game will take up 13GB of storage space. As it relates to the Breath of the Wild Master Trials DLC, this add-on will take up 3.7 GB of storage space. If you do not own a Nintendo Switch memory card, Both the Breath of the Wild and the DLC will take up a considerable amount of storage space. This is why it is highly recommended to invest in a memory card for the system, especially if you plan on getting other digital downloads in the future. Other popular games such as Splatoon 2 uses 3.2GB of space, as well as Super Mario Odyssey 5.7 GB. So you can see the space on the Switch can be eaten up pretty quickly. MicroSD cards are cheap, so you do not have to spend an arm and a leg to get one. You can go with a 32GB MicroSD or 64GB microSD just to get started and you could always upgrade to the bigger 128GB microSD or 256GB microSD in the future when you have some more money to spare. 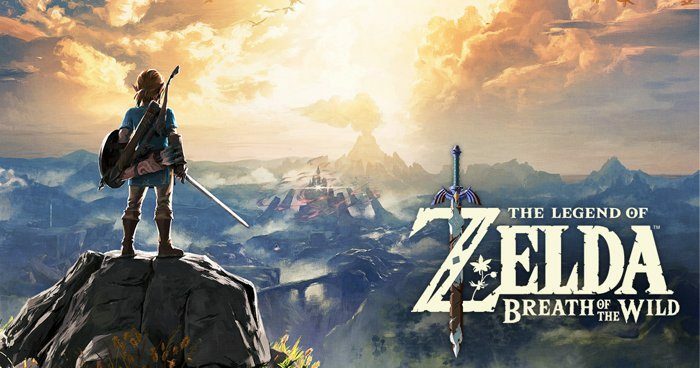 The Legend of Zelda: Breath of the Wild, is the first Zelda game for the Nintendo Switch and a continuation of the hugely popular series. An engrossing adventure that will have you travelling across fields, forests and mountain peaks. You will be thrown into non-stop adventure as you try to figure out what has become of the ruined kingdom of Hyrule.